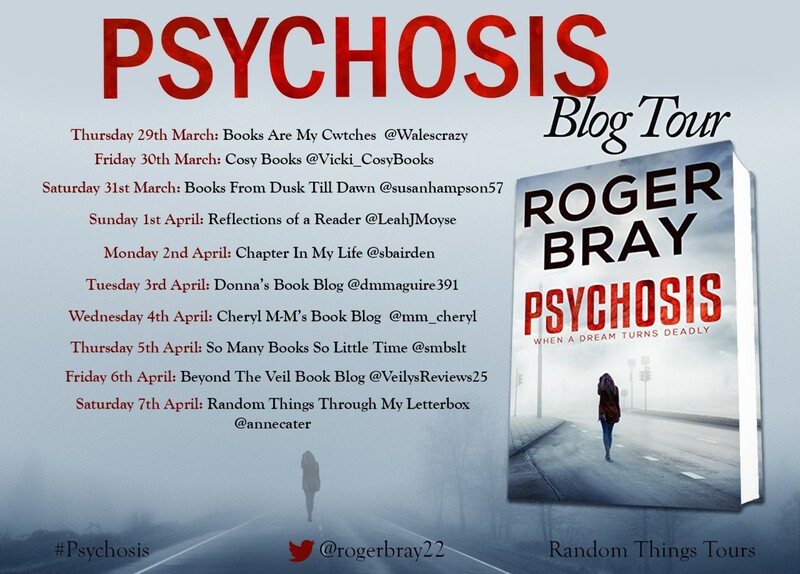 Today is my stop on the blog tour for the the book Psychosis by Roger Bray, welcome to So Many Books, So Little Time and thank you for taking the time to join us for some questions. Hi Roger and thanks for taking time out to chat to us. For those not familiar with yourself or your work, tell us a bit about you and the books you write? Books tend to be, in some way, autobiographical. If not in actual events then in experiences. 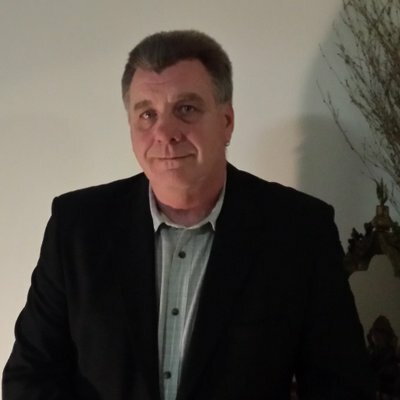 I served in the Royal Navy for ten years before coming to Australia and I spent seventeen years as a police officer before being seriously injured arresting a domestic violence offender. My experiences of people, and how they react to different situations, is mirrored in my writing. My books are about ordinary people who find themselves in difficult or extraordinary situations and deal with them the best way they can. What was the inspiration for Psychosis? A little difficult to answer without spoilers, but two things I find abhorrent are mindless violence and injustice. I don't care for the myriad excuses often used to forgive such transgressions. I believe in a just society where people can live without fear of either of those things being visited on them. The inspiration for Psychosis was two news reports exploring such events and the writer’s inevitable moment of ‘what if?’. Do you think you will ever revisit any of the characters in the book? No, my books are stand alone novels about ordinary characters who are faced with extraordinary circumstances. I think that having suffered the slings and arrows of the outrageous fortune I have slung at them they deserves to go back to their ordinary lives. Robert Harris, Bernard Cornwall, Tom Sharpe, Le Carré, John Birmingham and many others. I have an eclectic taste in books and movies so my inspiration comes from many sources. If you could have written one book already published what book would you have chosen and why? I always find this question a little pretentious. Who am I to pretend that I could write or rewrite a classic novel. Even so, in keeping with the question, I would have to say 1984. Not write it so much a rewrite, bring it up to date. I think there are things happening today that Orwell would scarcely believe. CCTV cameras everywhere, people not worried about being on camera but scared that they won’t be. I think Orwell would little believe the amount of personal freedoms we have willingly given away and the whole concept of 1984 would need to be reset. Orwell wrote a warning, we are using it as an instruction manual. Do you have any rituals, must haves or do’s when starting, during and finishing writing a book? What is next for Roger? I am working on a new novel at the moment, also set in Oregon, which I hope to finish in mid 2018. Once finished it the process of getting it ready for publication begins. Which, I have found, is harder than the writing. I have a website - https://rogerbraybooks.com/ through which I can be contacted and I am also on Facebook and Twitter. Please get in touch. Anything you would like to add that I have forgotten to ask? Nothings springs to mind except to say thanks for the opportunity to chat. 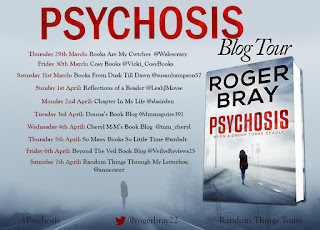 I read this book in prep for the blog tour, this was my first time reading this author, I will be seeking out his other books, you can check out my non spoiler review for Psychosis here. Thank you both for this interesting interview! I enjoyed reading it. Great Interview Lainy! Authors may get tired of answering the question, but I like hearing about why they write and what inspires them!